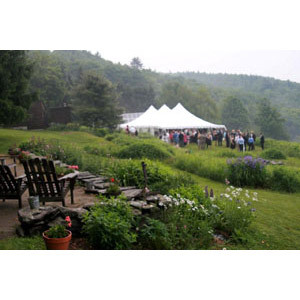 Stump Sprouts provides a wonderful setting for small country weddings and a wide variety of special occasions. The magnificent vistas, lawns and gardens provide the perfect background for celebrating important milestones in life. 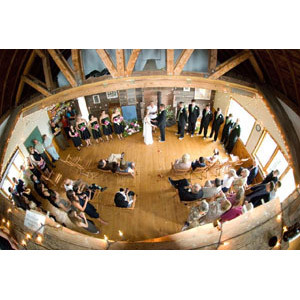 We offer a simple venue suited best for those who value being close to the natural world. 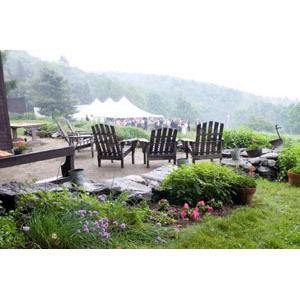 We are primarily oriented towards those interested in having a weekend gathering that combines rustic onsite accommodations with a breathtakingly beautiful setting for a ceremony. We realize that every such event is unique and encourage you to discuss your plans with us so that we can develop a custom package together that tailors to your desires. Food is a major part of most weddings and special occasions. 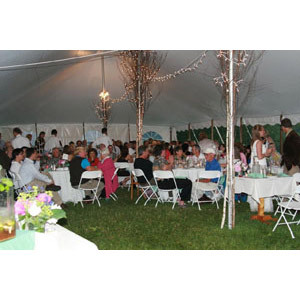 You can prepare your own meals or bring in your own caterer. We can assist you with planning. Special pricing for wedding packages applies. 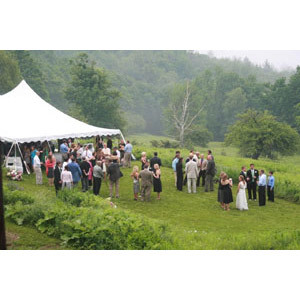 We generally book the facility for a flat rate for an entire weekend. We will quote rates after we have a brief discussion about what you are planning. Please note: we do not take reservations more than a year in advance.